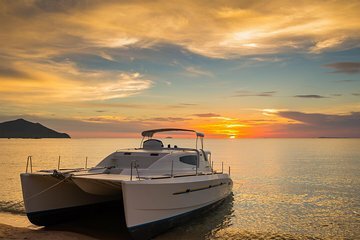 Drink, relax, and watch the sunset on this private cruise from Playa del Carmen. Your captain navigates to Isla Mujeres and past stunning views of coastal scenery on a comfortable 30-foot boat. As you sail, you can listen to your choice of music and enjoy included beers.